Ever fancied going on a cruise but nobody else does? Or you just want to go alone? If you want to or enjoy travelling alone; then cruising is ideal especially if you’re tired of the same holidays and want to do more than a 7-night Mediterranean package holiday or want to get more value from your holiday. As a single passenger, it may be daunting as you are venturing on your own but it can also be exciting if this is how you wish to travel. Cruise1st can give you all the advice you need when you speak to one of our expert cruise advisors with everything you need to know from start to finish. Take a look at our 4 top offers for Single Travellers! Price Shown Based on 1 Person Call To Book! 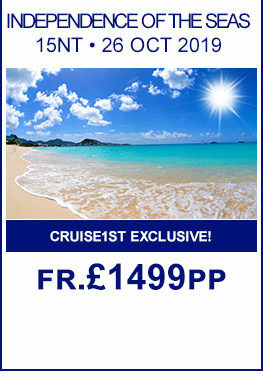 Cruise 1st Exclusive , Price Shown Based on 1 Person Call To Book! 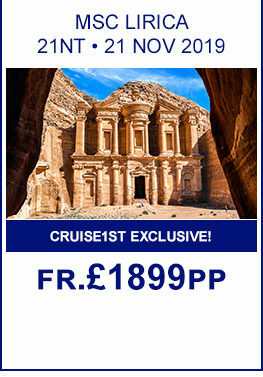 Cruise1st Exclusive , Price Shown Based on 1 Person Call To Book! 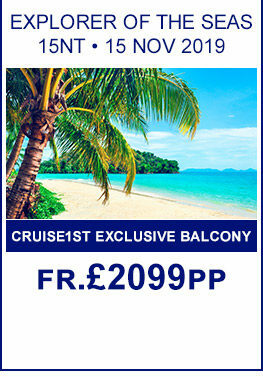 Cruise 1st Exclusive Balcony Offer! , Price Shown Based on 1 Person Call To Book! Includes a 2nt Stay in Auckland! 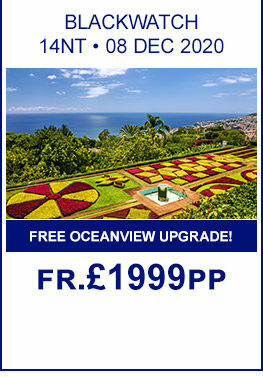 , Price Shown Based on 1 Person Call To Book! Airport Lounge Included , Six Star Luxury Inclusive Cruising , All Flights and Transfers Included! , Price Shown Based on 1 Person Call To Book! You may want to compare the cost of a single cruise with what you would normally spend on a package holiday and you will be pleasantly surprised with the extra value that a cruise holiday can give.Your cruise holiday will include all your meals making it full board, then there is the vast array of entertainment from West End style shows in the theatre, numerous bars serving cocktails and lots of activities for you to join in. You get to save costs as you will find that some cruise lines may not charge single supplements for your stateroom, and each cruise line has something amazing to offer, from a short 3-4 day cruise, which may give a great tease or a full 14 night cruise with over 8 different ports of call in different countries! And you don't have to worry about activities to get you going as the itinerary is packed with interesting events within a few steps away, and if you want a quiet time, there are plenty of cozy places onboard to spend your time. Use the search form to find a cruise that suits you, browse our cruise deals and call us to book.